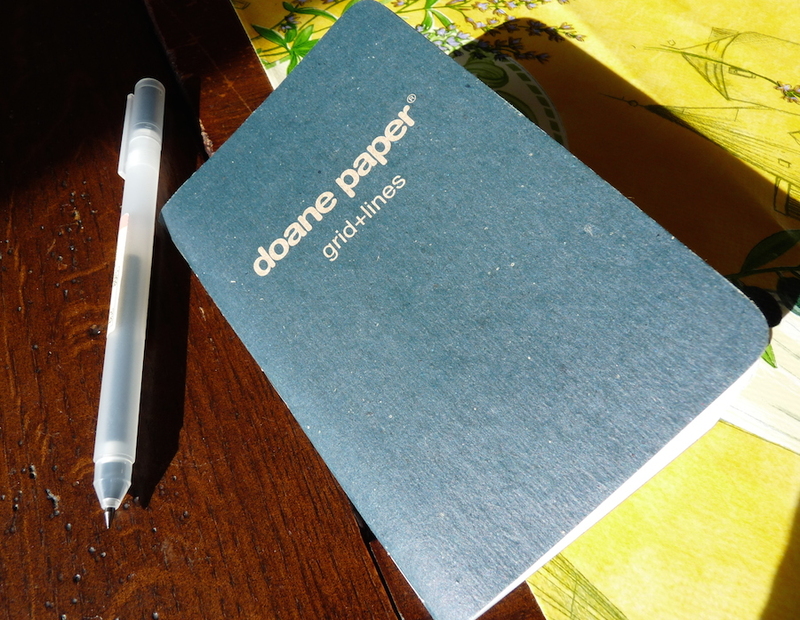 Doane Paper Grid+Lines notebook review – Pens! Paper! Pencils! 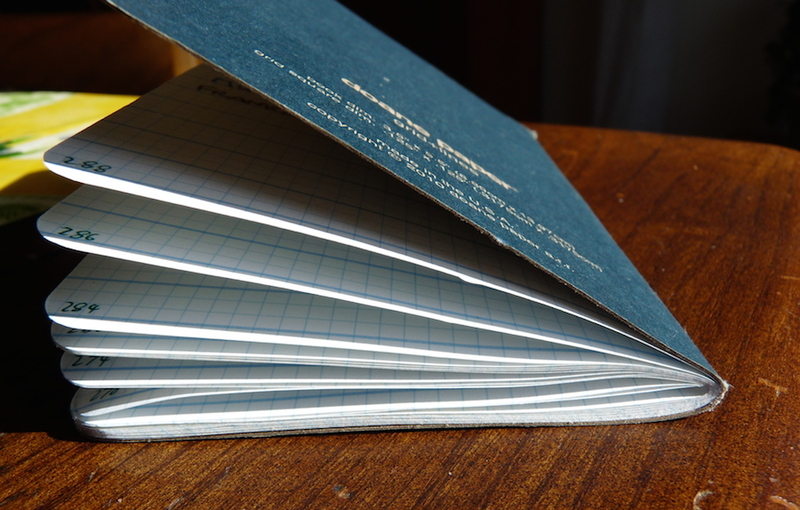 The Doane Paper Grid + Lines pocket notebook is an extremely well made little notebook with unique (you guessed it) gridded and lined paper. The cardboard cover is good and thick. It’s certainly thicker than the cover of a Field Notes notebook and seems a little thicker (certainly stiffer) than the cover of a Calepino. Covers are more important than you might think. It’s not just that it serves the utilitarian purpose of keeping the contents safe. The cover is what you touch every time you pick up a notebook to use. They set the tone. The tone that the cover of this notebook sets is: here is a notebook I am going to do something meaningful with; I am going to do proper work in this; it is going to be useful; I am going to make and do. Inside the paper continues similarly. 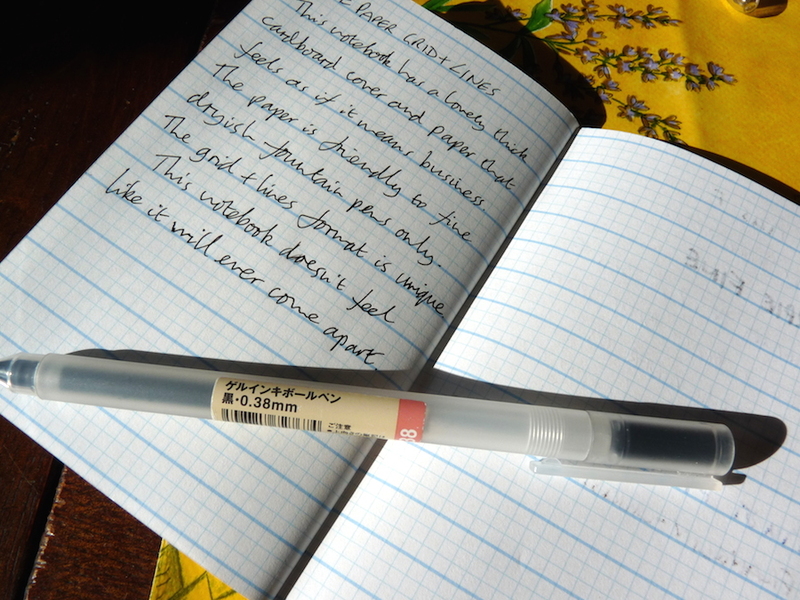 It’s a good weight (90gsm/60lbs), the same as a Calepino notebook. Most fountain pens will feather, some will bleed through, but finer and/or drier pens will be fine. The stapling is good and strong. This doesn’t feel like a notebook that will come apart in a hurry. 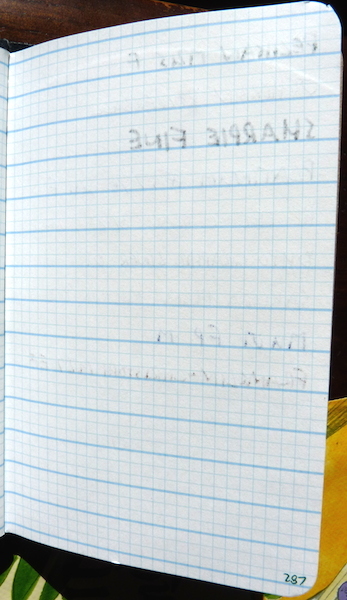 The grid/line combo is Doane Paper’s thing but, I’m afraid, it’s not mine. For me, the lines are too far apart and the the grid is too small. Also the paper doesn’t suit me. I understand the counterargument but I do want my notebooks to hold up well with fountain pens. This is just because of how I use them and, thank goodness, not everyone is like me. All in all these are wonderful little notebooks. They’re not quite right for me but don’t let that take anything away from their quality. 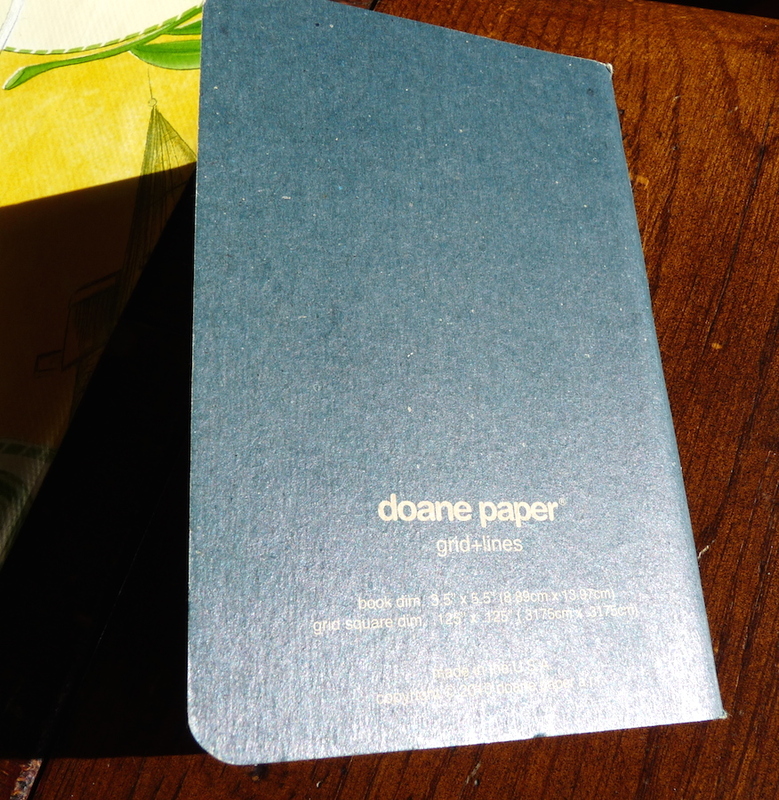 Sadly Doane Paper doesn’t ship outside the USA unless you spend at least $100, which is a lot of notebooks. I received mine as a very kind gift from Mike Dudek (go buy something from him) and I have one spare. I want to give that one away to someone and it seems only fair that I give it to someone outside the US so that they can have a chance to see what it’s like. It’s not the world’s biggest giveaway but it is a chance to try something that would be difficult to try any other way. If you would like a chance to win it then what I’d like you to do is use the contact form to send me an email to let me know. That’s all. You have until 9am on Thursday 3 April. I’ll then pick an email at random and get in touch. Remember, this is only for those of you who live outside the USA! 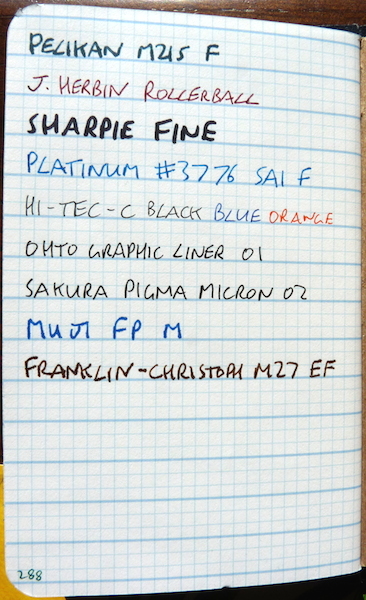 A couple of little notes: yes I do number the pages of all my notebooks and, in fact, I use colour coding for notebooks I use for different purposes; and the pen here is the Muji Gel Ink pen, which is great.